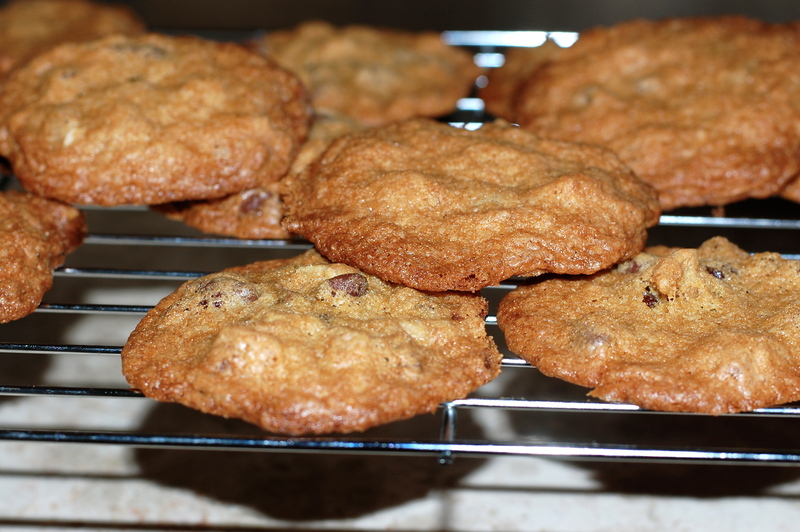 I must have made an accidental error the first time I made these cookies (I suspect a reduction in the amount of flour) because I’ve never been able to replicate in later attempts the chewy, gooey cookies with delicate crispy edges from that day. Instead, the original recipe left us with something akin to tasty biscuits. Passable, certainly, but delicious? Not in my book. When I saw Ava and Jonah pulling out the mixer today in preparation for another cookie-making session, I decided it was time to tinker. I created a new recipe making fewer cookies (the earlier version created on overwhelming amount of batter but you can of course double this one) and resulting in the crispy/chewy combo we love. You can find the amended recipe on the original post. yeah! you finally figured it out! I was so disappointed with my own efforts on these cookies that I could not replicate your first try (and definitely not a fan of the cakey version). So, now I’m going to try this new and improved version. Thanks for tinkering on behalf of the rest of us!